The theme for this months Poppins Book Nook was animals. Since we were learning about Thanksgiving this month, I decided to go with a turkey for our animal. We used a few different books to go with our theme. 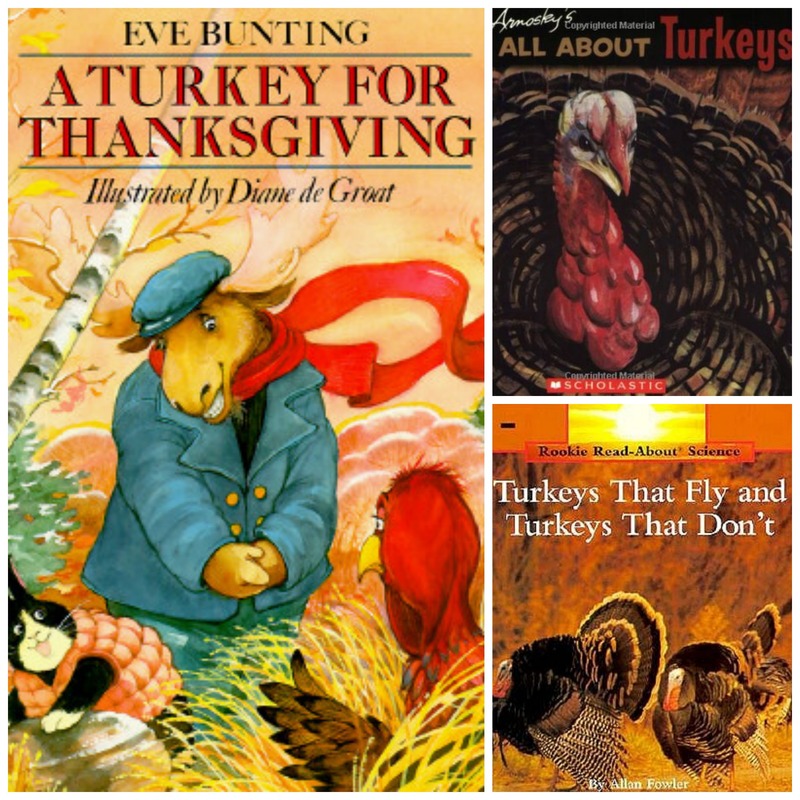 We read “A Turkey for Thanksgiving” by Eve Bunting, which is a super cute story! Then we read 2 non-fiction books- “All About Turkeys” by Jim Arnosky and “Turkeys that Fly and Turkeys That Don’t” by Allen Fowler. We learned so much from those 2 books! As we read the non-fiction books about turkeys, we added feathers to this turkey. 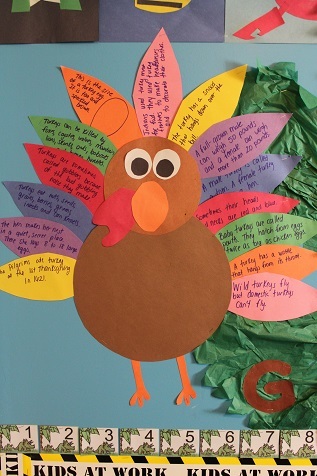 Each feather has an interesting fact about turkeys. 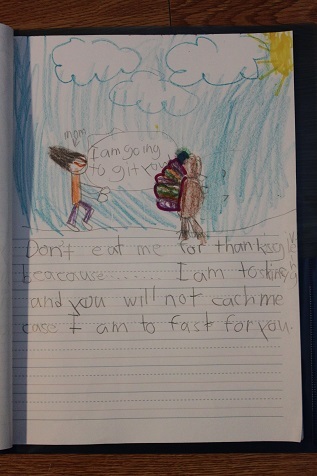 I had Hailey write in her journal pretending to be a turkey and giving reasons why she should not be eaten for Thanksgiving dinner. 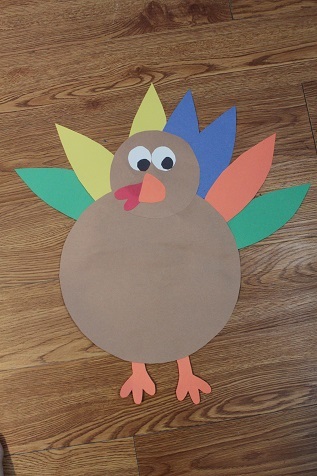 We also made some turkey crafts, you can see the full post here. These are the cute hats we made. 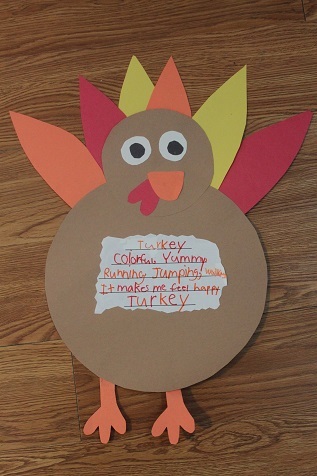 Hailey made this turkey with a cute poem on it. Each month you will have a chance to win a book from the Poppins Book Nook group related to the theme of the month. 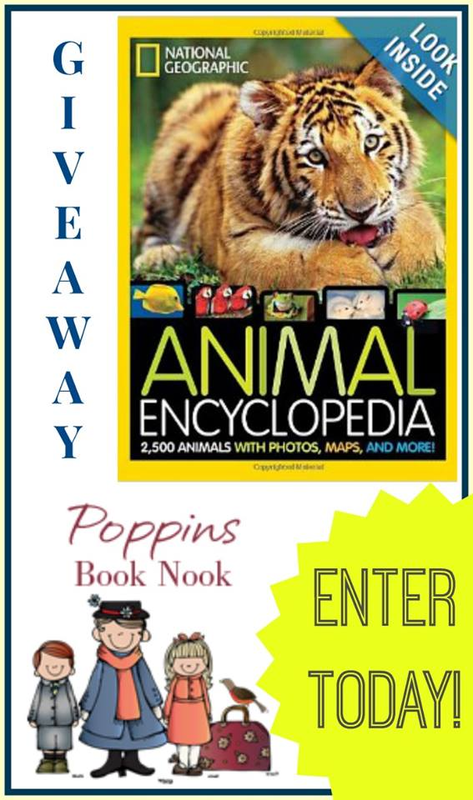 This month you have a chance to win National Geographic Animal Encyclopedia. The only rule is that you must live in the US to win. Cute crafts and poem, and how seasonably appropriate! We will have to look for the books! Your turkey is so cute! I like all of your books. 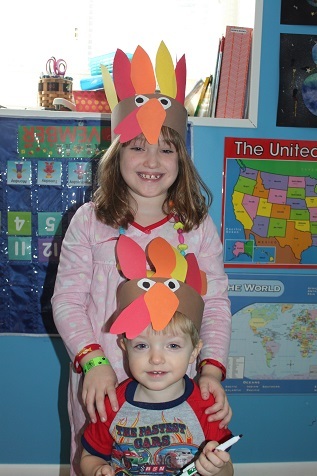 We read a lot too and we really liked A Turkey For Thanksgiving too!